After years of travelling and changing residencies, Chrystal Chris arrived in Berlin where she soon met Sawatzki. Their strong love for deep, complex electronic music led to their first performance, floating on a pristine lake – Saphear was born. 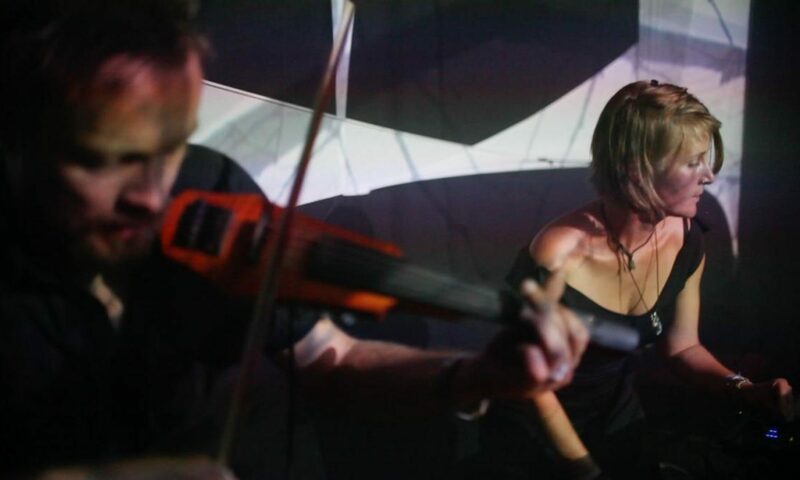 As a trained jazz violinist with a classical background, Sawatzki improvises to Chrystal Chris’ carefully curated selection of tracks, making each performance a unique experience. Their sounds take you into ambient spheres of avantgarde, electronica, neo-classic and deep house. This fusion shines in its own uniqueness, resonating between sadness and felicity, light and darkness, yin and yang. Like crystals thrive with other solute molecules, Saphear grow steadily by attracting people through their enthusiasm. Their highly energetic performances serve as a seed for crystallisation in all of us.